The City of Chicago entered a motion to appoint a Receiver to prepare a feasibility study of a 49-unit, high-rise residential condominium. The HOA was under pressure by the City of Chicago Department of Buildings to conduct major life safety repairs, estimated at over $2 million including fire safety code compliance and exterior masonry stabilization. The feasibility study determined the property unsafe and uninhabitable due to hazardous conditions regarding the natural gas service within the building, unresolved fire safety issues, and dangerous structural conditions related to the masonry façade and balconies. The Judge de-converted the condominium to a single property, and ordered the Receiver to assume the management and affairs of the HOA, vacate the occupants and sell the property. The Shoreline Condominium consisted of 49 units within a 15-story masonry building. The property is located on the South Side of Chicago adjacent to Jackson Park, the site of the famous World Columbian Exposition. 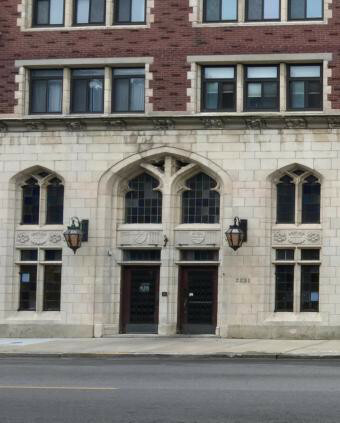 The structure has historic significance, and is on the City of Chicago’s “Orange” list, which qualifies the property for potential tax credits. The individual apartments were large, averaging approximately 1,800+ square feet, all with exceptional views of Jackson Park, and/or Lake Michigan and the downtown Chicago skyline. Over the past decade, the property fell into disrepair and the HOA became dysfunctional, with only approximately one-half the homeowners paying monthly assessments. Critical repairs to the building were done partially, improperly or not at all, creating extensive damage throughout the structure. The Receiver, Collateral Trustee, Inc., prepared an analysis to determine whether or not it was feasible for the Shoreline Condominium HOA to conduct and pay for the repairs required by the City of Chicago, and to remain operating as a condominium. The analysis found that the cost to conduct the repairs would result in negative equity on the individual condominiums at the current market value for the homes in that area. The HOA was also insolvent and unable to raise the capital required to restore the condominium as a viable entity. When the Receiver took over management activities of the property, emergency maintenance was completed such as a sidewalk protective canopy erected and natural gas service restored. Financial activities included the collection of monthly assessments, payment of operating expenses and the review and reconciliation of the individual homeowners’ ledgers for the prior two years. The Receiver initiated a move-out program that included the calculation and distribution of a move-out allowance that was funded by the purchaser of the property. Each occupant received an initial payment to help with moving expenses and a second final payment after vacating the property. Within a 6-week period, 27 families moved out the property during which the Receiver coordinated schedules, maintained the operation of the freight elevator, established 24-hour/7- day security, and accounted for move-out allowances. Special situations included arranging and paying movers from the move out funds, connecting residents to assistance sources with the City of Chicago, and removal of undocumented occupants. The Receiver oversaw activities conducted by the broker hired by the HOA and also made direct contacts to developers and investors that were likely prospects to purchase the property for redevelopment. A sealed bid offering structure was created to establish a competitive process to maximize price and probability of closure. Multiple offers were received and the prospective buyers were qualified in terms of cash to close and experience with similar projects. The Receiver negotiated the terms of sales and obtained authority from the court to accept the offer of the high bidder. Unique conditions for closing included protection of historically significant furniture and light fixtures as well as remediation of environmental issues. The preservation of historic items was a key component of the plan to obtain historic tax credits for the redevelopment. Professional movers and electricians de-installed the fixtures and placed them in a secured space with folding steel grates across the window and door openings and a security system. The engineer the Receiver engaged located and tested two underground storage tanks as well as the soil in the surrounding area. No hazardous conditions were found, so rather that removing the tanks, the tanks were abandoned in-place, saving significant time and money. The Receiver engaged legal counsel to pursue assets and accounts receivable for the HOA and to negotiate settlements of the claims against the HOA. Any and all net proceeds were intended to flow back to the homeowners. The Receiver worked with all parties of the case to establish priorities and process for distribution of funds from both the sale and recovery activities of the HOA counsel. Funds were distributed to homeowners and claimants in a two-step process, enabling homeowners access to funds before final financial results were calculated.